The Chuwi Hi13 is a very interesting proposition in the Windows tablet market. It has a display similar to that of the Microsoft Surface Book, support for a detachable keyboard and stylus, expansion ports, and competitive internals, but, unlike the devices that it has in its crosshairs, it features a really attractive price tag. When I discussed the Hi13 earlier this year, I mentioned that Chuwi expected to sell the device for around $500 or less, which seemed like a fair price considering everything that it has to offer. However, as it turns out, the Hi13 will actually retail for much less -- $369 to be exact. The value proposition is hard to beat. I do want to stress that one cannot expect a sub-$500 device to hold its own against those costing a couple of times more than that, but even so you are getting a whole lot of features for the money. The 13.5-inch display, with a 3:2 aspect ratio and 3,000 by 2,000 resolution is the main attraction here, without question. It will come with Windows 10 Home, based on the information provided by Chuwi, but the company notes that it will also support Ubuntu, one of the most-popular Linux distributions today. Apparently, the company "may offer official Ubuntu OS firmware". If that happens, it should make some Ubuntu fans pretty happy. 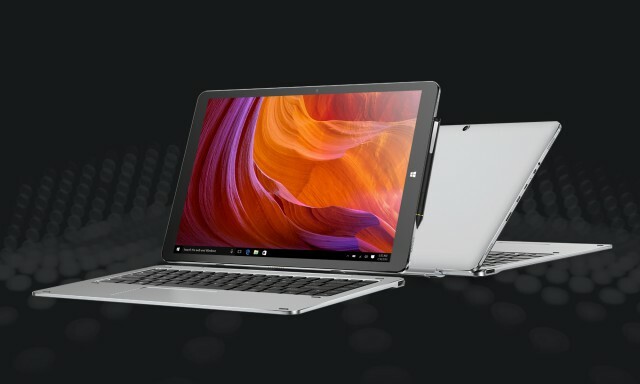 In terms of connectivity and expandability, there are two full-sized USB ports on the keyboard and one USB Type-C port on the tablet itself, a microSD card slot and a microHDMI port. What else should you know? The Hi13 packs a 10,000mAh battery, with fast charging support, but there is no estimate regarding battery life at this point. If Chuwi provides a review unit, we will be able to assess it and offer some real-world figures. Chuwi tells me that the Hi13 will be available starting February 20.